Here we have a new tape of three long out of print compilation tracks, as well as shorter new track, by Germany’s long running Anemone Tube. Active since the mid-90’s, Stefan Hanser creates his own unique blend of heavy looping harsh electronics, power electronics structures, dark ambient textures and in more recent years, field recording manipulations. That may sound like a lot to take in, but back before people became stuck in the harshly defined genre separations seen in recent years, projects were more prone to mix styles into a more personal sound. His music is very well-considered and much more cohesive than my words make it sound here. It’s interesting to take a big step back in the artist’s output after hearing recent albums to see where the foundations were laid. Danvers State did a great job with this tape. The artwork is fitting and very well printed. The pro-dubbed tapes sound fantastic and look really nice as well. My only beef would be that both sides contain the same four tracks. So this actually a C12.5 that you never have to rewind. This is fine, since it’s clearly advertised as such, but it feels like a shame not to have unearthed a few more tracks to fill out the B-side. “Abstract Death” starts things out with a thick layer of grinding harsh noise laying the foundation for a slow metallic rhythm off in the distance. The grinding white noise builds slowly, getting harsher and louder over the first few minutes, adding bass textures in as well to fill the sound spectrum. The rhythm also intensifies, growing louder and more distorted with every hit, gradually making you forget it sounded like distant train at the beginning of the track. These aren’t cheap $20 pedals being used here. You can hear the lumbering steel boxes with wooden sides pushing out nasty frequencies with a girth and heft missing from a lot of newer projects. After building and building in volume and intensity, there’s a sudden stop, and after a brief pause we are thrown into the second track “Under The Mask Of Beauty”. This is the newest and shortest track on the tape. It starts right where the last one ended, loud moving layers of highly ground up and highly filtered searing noise. This time shifting back and forth between the speakers in a psychoacoustic manner, with added layers lurking beneath surface to lay the foundation and replace the blown out pounding metal of the first track. It feels faster and nastier. The attention to detail and use of panning give a nauseous feeling, that was obviously well constructed to hit hard and effect your senses at loud volumes. I really wish it was about five minutes longer. After a very brief movie sample, we are thrown into “Screen Test Intersection”, a nasty full-blown gnarled electronics track. Extremely fast bass heavy synths chug away amidst a swirl of layered harsh textures feeling like a high-speed power electronics track that forgot the vocals and instead replaced them with highly distorted junk metal textures and snarling mid range feedback. The fourth and final track “State Of Preservation” continues this on after a brief pause, barely skipping a beat and sounding almost like it was originally connected to the track that proceeded it. It really does sound like he just cut the track in half for two compilations back in the day and reunited them here for the first time. It continues on with the pulsing bass, but drops some of the harsher elements and leaves more room for the raw metal sounds and some really nice creeping higher frequency synth bits to come in towards the end. A few seconds later, the tape heads pop up and your left back in the real world feeling dazed. So what we’re left with is a short tape of nasty late 90’s harsh noise influenced industrial with power electronic-esque structuring. 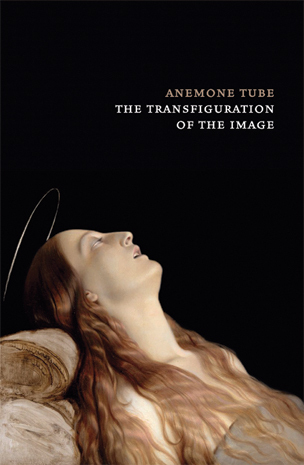 It clearly shows that from the start Anemone Tube has put a lot of thought into the structure of his work and the way that sounds interact with each other as well as the listener. This tape is less plodding, atmospheric or conceptual than newer albums, but considering the time it came out, it would feel right at home as harsher counterpoint to a lot of the industrial influenced synth projects of the time, without being flat-out harsh noise or typical European PE. These are heavy slabs of corroded electronics, preserved beautifully by Danvers State.